Matteo Salvini, Interior Minister of Italy and leader of the Lega Nord party, presented his plans for a new European right-wing-populist cooperation at the launch of his election campaign. However, contrary to Salvini’s expectations of forming the biggest group in the European Parliament, only four out of 20 parties attended yesterday’s conference. Salvini said he hopes Fidesz will soon join. Salvini – alongside MEPs from the Alternative for Germany (AfD), the Danish People’s Party and Finland’s True Finns – presented the “People’s and Nation’s Alliance” on Monday, promising that the group would “change the rules of Europe.” However, among others, Le Pen’s National Front, the Freedom Party of Austria, the Dutch Geert Wilders and the far-right Swedish Democrats were absent from the event, contrary to expectations. Hungarian Prime Minister Viktor Orbán also chose not to attend the launch of the campaign. 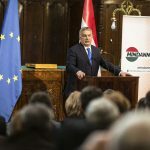 Although Fidesz spokesman Balázs Hidvéghi claimed that Orbán would not participate in the event, some speculated that the Prime Minister would still be present at the founding meeting of the Alliance. 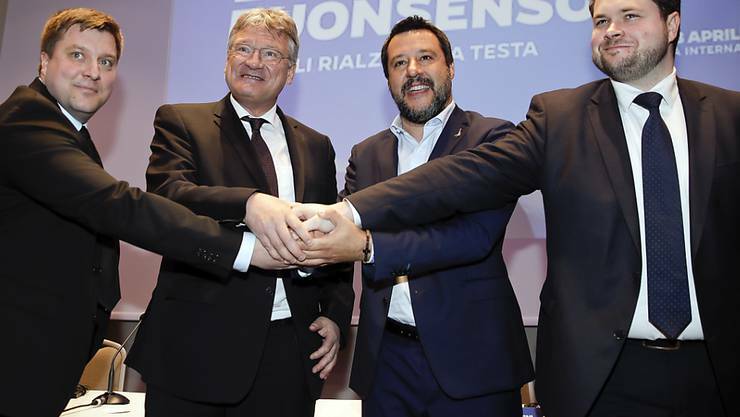 Besides Salvini and his Lega Nord party, AfD co-leader Jörg Meuthen, Anders Vistisen from the Danish People’s Party and Olli Kotro from True Finns participated in the event. Meuthen stressed the need to protect the EU’s external borders in order to defend Europe’s “rich heritage.” He said there is a need to “build a fortress in Europe” so they can decide “who can enter and who cannot.” According to Meuthen, one should not simply accept Angela Merkel’s attitude towards border protection. In the European Parliament, Salvini’s Lega Nord, the Austrian Freedom Party of Austria (FPÖ) and Le Pen’s National Rally in France form the parliamentary group “Europe of Nations and Freedom” (ENF) which currently has 37 MEPs. According to polls, the group can expect to gain enough members to surpass 60 in the upcoming election in late May, potentially becoming the fourth largest group in parliament.